Thank you AARP for the above image! I have to speak up, because today our future healthcare is at stake and tomorrow congress votes. Today is the day to call your rep in Congress and tell them to vote NO re: repealing and replacing ACA with The American Health Care Act - the republican replacement plan for ACA. FTR: If you don't like ACA/Obamacare, I get it - but the Republican Replacement Plan is horrible! AHCA brings back high risk pools - devastating for those of us with pre-existing conditions; adds an age tax to anyone over the age of 52, includes drastic cuts to medicaid, which so many adults and children with diabetes/ other illnesses require to stay healthy, and includes a Health Care Savings Account option that is absolutely worthless to anyone with a pre-existing condition. Diabetes wise, those accounts be would be depleted ASAP to pay for insulin; doctor's appointments, test-strips, pump supplies, RX's, and would cover only the bare minimum. AHCA also tax credits that only benefit the very wealthy, who most likely will not even be on an AHCA plan. Replacing ACA with a plan that increases costs and guarantees 52 million people will be without healthcare by 2026, (which isn't that far away,) IS NOT what's best for the American people. If lawmakers want to replace ACA/ObamaCare, then replace it with something better for the American people, NOT WORSE. 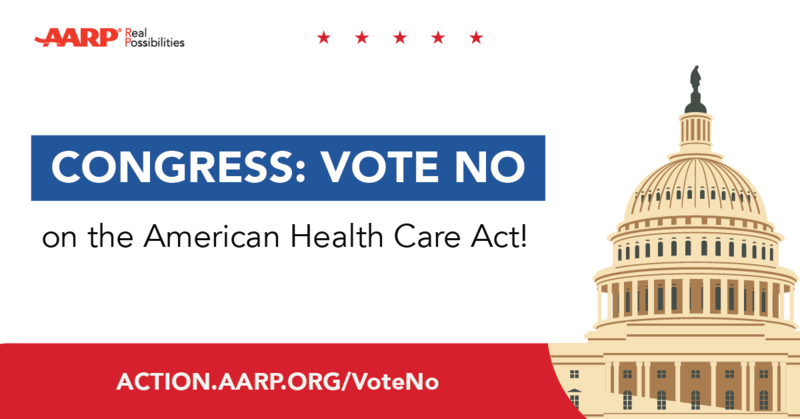 Tomorrow Congress votes on AHCA and today I�m speaking up - and I hope you do too! 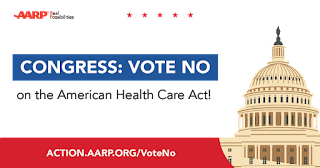 Today is the day to make your voice heard - today is the day to call your Rep in Congress and tell them to vote NO re: (AHCA) The American Health Care Act, the Republican Replacement Plan for ACA. Whether you�re a fan of ACA/Obamacare or not, the Republican Replacement plan - AHCA is a horrific substitute that will cause 52 million Americans to be uninsured by 2026. The AHCA DOES NOT lower costs, it will increase them - whether you are insured by the plan or not. The AHCA DOES NOT improve insurance, it negatively impacts everyone's health insurance across the board. The AHCA DOES NOT improve healthcare - it is detrimental to healthcare. AHCA tax credits disproportionately benefit the wealthy - those who most likely would not be on The AHCA; the proposed medicaid cuts put 30 million children (including children with diabetes and children on state CHIP programs,) at risk, not to mention increased costs to the elderly, the economy, and adults with diabetes on medicaid and off, will be astronomical. No matter what side of the fence you sit, the American people deserve better than the The American Health Care Act. Click HERE and send your message to Congress re: the Republicans AHCA bill via DPAC. The Diabetes Patient Advocacy Coalition, (DPAC,) is a wonderful resource for the DOC and beyond, with excellent tips re: talking with those that are on the fence in congress - GIVE A READ. Call and tweet your Reps in Congress today, (and thanks to DPAC for making it easy,) because tomorrow Congress votes on AHCA. I wouldn�t be voting for him on November 18th, 2018 - Election Day. Today, use your voice and use it loudly, because tomorrow Congress votes on our health!